Every year each United Way is required to adhere to a set of standards and requirements that have been dictated by United Way World Wide. 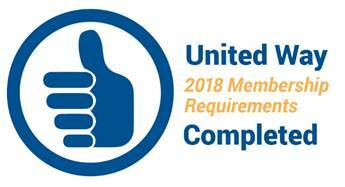 In order to use the United Way name and logo, United Way of Sumner County must successfully prove its compliance with these rigorous membership standards on an annual basis. The Thumbs Up logo lets our partners and supporters know that United Way of Sumner County is in good standing with United Way World Wide.